Remember Kim Dotcom? He’s the convicted fraudster-turned rich dude who ran MegaUpload, that file storage website that hosted a ton of pirated content. 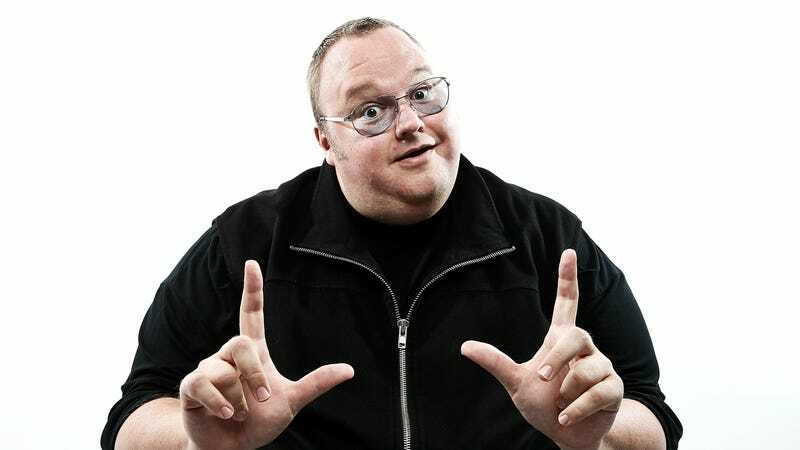 In January 2012, Dotcom was raided by New Zealand authorities and he’s been in legal purgatory ever since. Right now, Dotcom is fighting extradition by the United States for charges of online piracy. Dotcom made headlines when he announced that his extradition hearing would be the first ever case in New Zealand to be livestreamed. Too bad only about 100 of Dotcom’s half a million twitter followers are watching it. Considering extradition hearings are only a notch above watching paint dry, it’s pretty understandable nobody is bothering to tune in. It’s also hard to feel any sympathy for a guy who’s been accused of paying people to upload pirated content and makes these embarrassing god awful music videos about how rich he is. Or maybe people don’t really care for Dotcom’s cause because of that time he compared one of his legal battles (which he eventually lost and had to pay over $13 million in damages for) to Martin Luther King Jr.’s “I Have A Dream” speech.